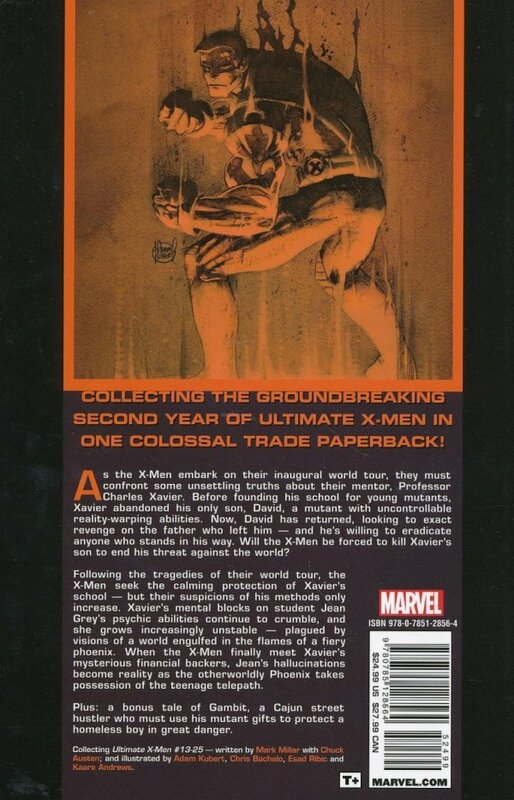 Collecting the second year of Mark Millar's groundbreaking ULTIMATE X-MEN - issues #13-25 - in one colossal trade paperback! As the X-Men embark on their inaugural world tour, they must confront some unsettling truths about their mentor, Professor Charles Xavier. Before founding his school for young mutants, Xavier abandoned his only son, David, a mutant with uncontrollable reality-warping abilities. Now, David has returned, looking to exact revenge on the father who left him - and he's willing to eradicate anyone who stands in his way. Will the X-Men be forced to kill Xavier's son to end his threat against the world? 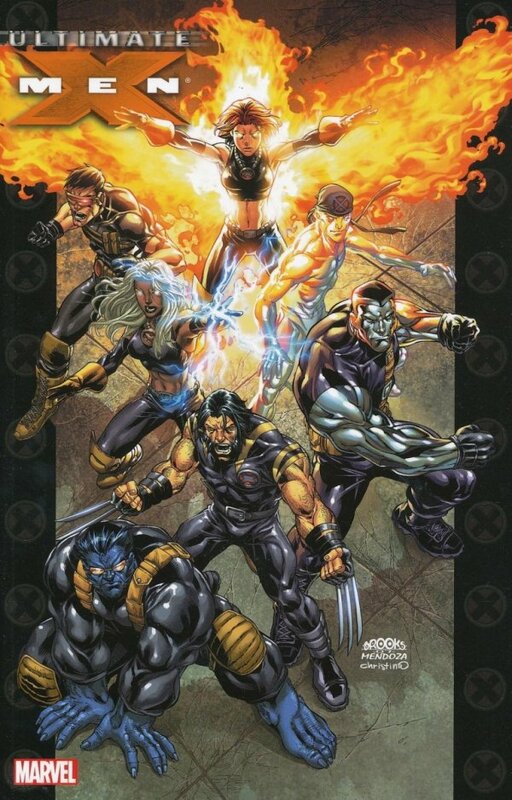 Following the tragedies of their world tour, the X-Men seek the calming protection of Xavier's school - but their suspicions of his methods only increase. Xavier's mental blocks on student Jean Grey's psychic abilities continue to crumble, and she grows increasingly unstable - plagued by visions of a world engulfed in the flames of a fiery phoenix. When the X-Men finally meet Xavier's mysterious financial backers, Jean's hallucinations become reality as the otherworldly Phoenix takes possession of the teenage telepath. Also included in this volume is a bonus tale of Gambit, a Cajun street hustler who must use his mutant gifts to protect a homeless boy in great danger.